Before I went through this whole holiday/move flat double combo, I went to a great event with Vichy. Instagram friends will have probably spotted it alll over my feed but here’s the real down-low on what happened. Vichy has been high on my beauty radar for a while now but especially their Normaderm range as it’s for oily and combination oily skin. ie. IT’S MADE FOR ME. This launch event was to mark the incoming of the latest VICHY Normaderm product – the Night Detox cream. Held in the Ham Yard Hotel in Soho, there was a cinema screening, lovely cocktails and a whole host of fun canapes.. I ended up with three VICHY products to test – the new Night Detox cream, the Normaderm moisturiser and the Normaderm 3-in-1 cleanser – how did I get on with them? VICHY Normaderm Night Detox is designed to control the production of oils in the skin and counter that greasy-skin feeling you get when you wake up in the morning. It’s basically a powerful mattifying cream but gentle enough for sensitive skin. What a fab idea – I always wake up with an oil slick on my face. If this Night Detox can prevent that, I think we’re on to a winner. First Impressions? Normally I think mattifying = not moisturising but it’s actually more creamy than you might think! At the event I tried it on my hand and the texture was lovely – I couldn’t wait to try it properly! 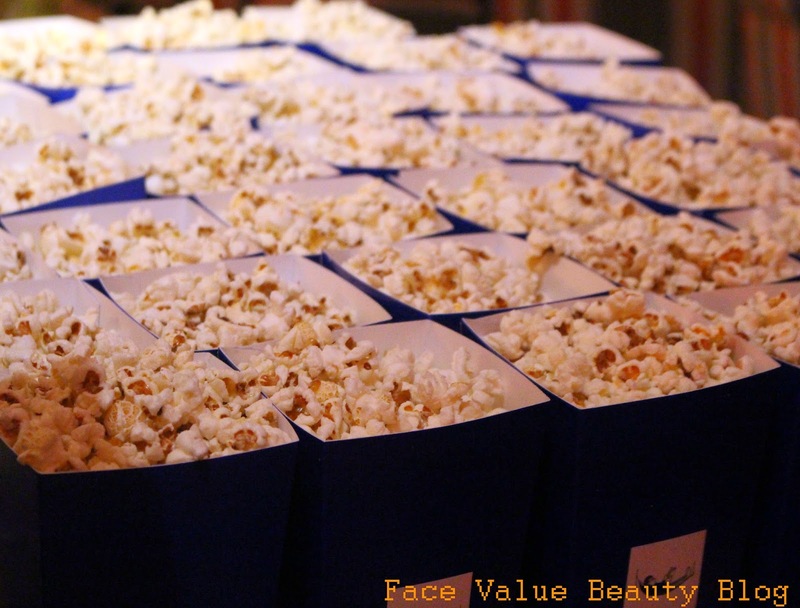 The event was brilliant – after the presentation, there was a cinema screening of Grease (oily skin, geddit) complete with giant buckets of popcorn. Boom. I got to hang out with some blogging pals too. Shout out to LaylaD, Seraphina, Joanna, Julie, Tanya and Hannah! So I took home a Normaderm cream, the Night Detox and the 3 in 1 cleanser to test but what were the results? I’ll give you a hint. One was amaazing, another really good but the last one? Not so good… Can you guess which one was which?? Have you tried any VICHY products before? Do you ever get that greasy-face feeling first thing in the morning?! Next Post A Trip To The Burberry Beauty Box!